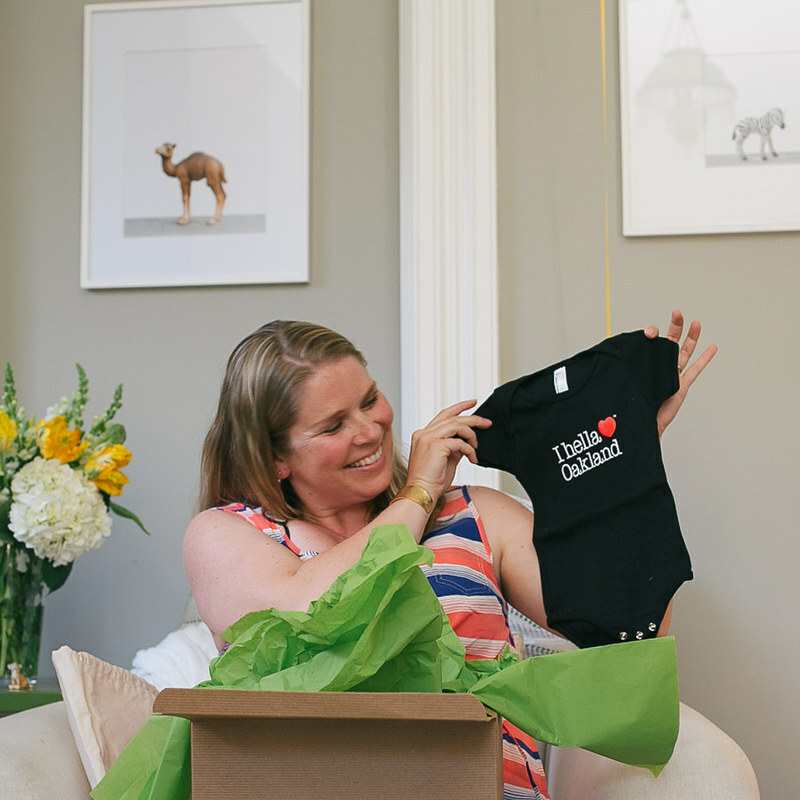 A Baby Zoo Baby Shower for Madie! 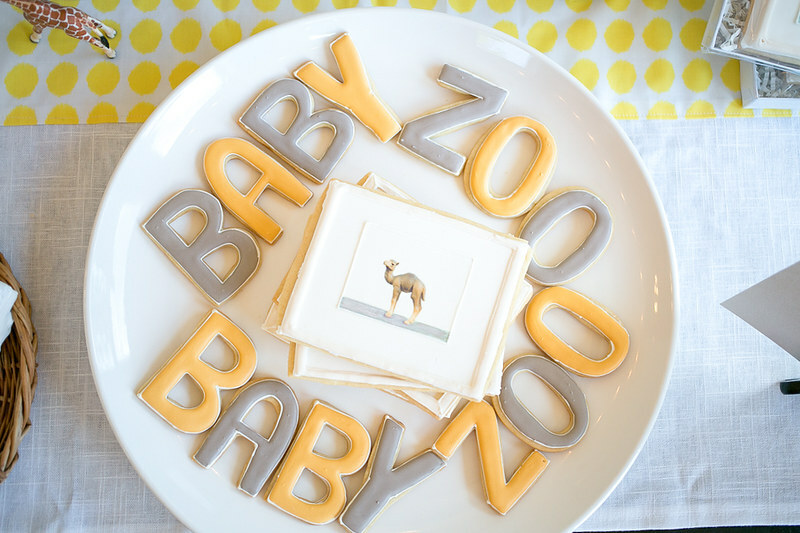 I'm so, so, so excited to share this Baby Zoo themed baby shower for my sister in law, Madie. 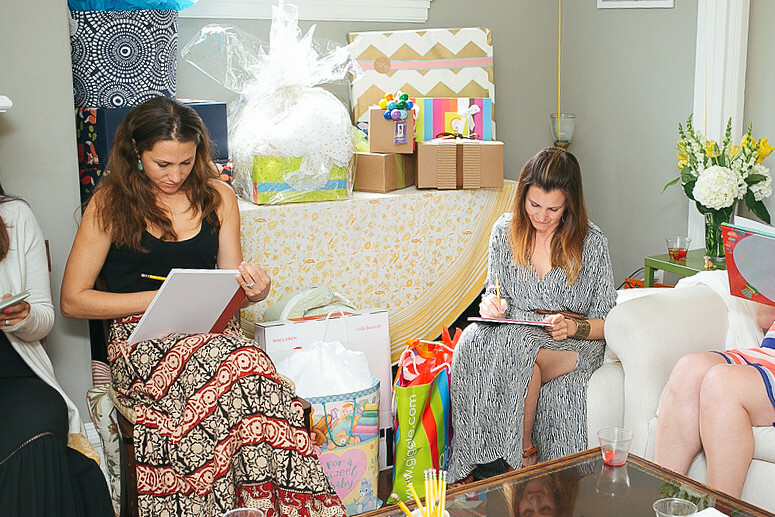 Vale (Madie's older sister) hosted the baby shower at her home. By the by, Vale's house is looking so amazing right now with fresh paint and recently refinished floors. 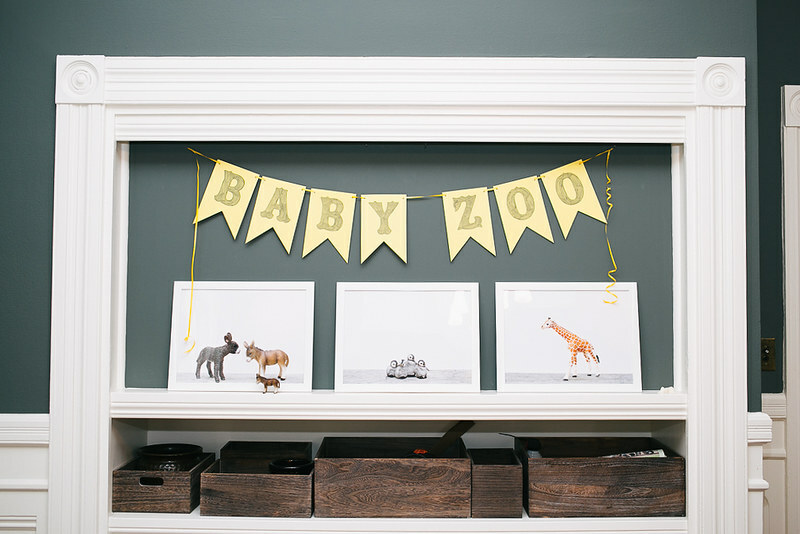 The theme for the shower was Baby Zoo and was inspired by Sharon Montrose's Animal Print Shop, which Madie has always loved. 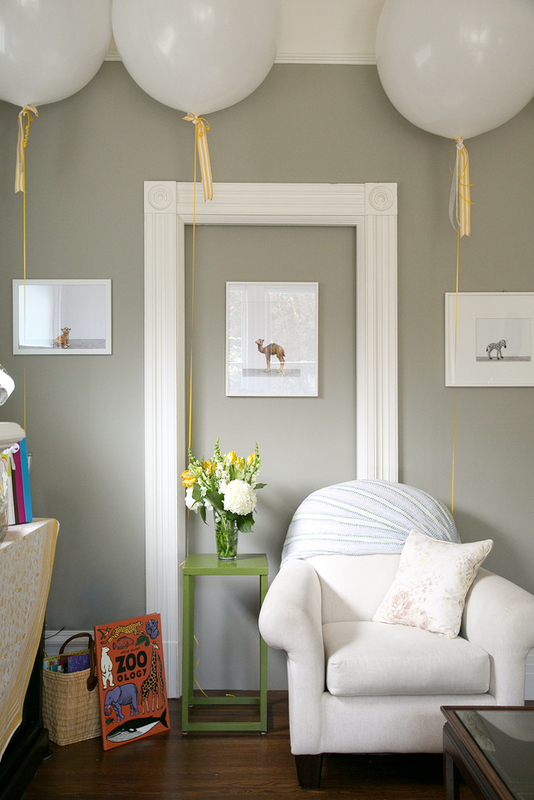 The Animal Print Shop has a collection of "baby animals" which lend themselves quite adorably to nursery wall art. 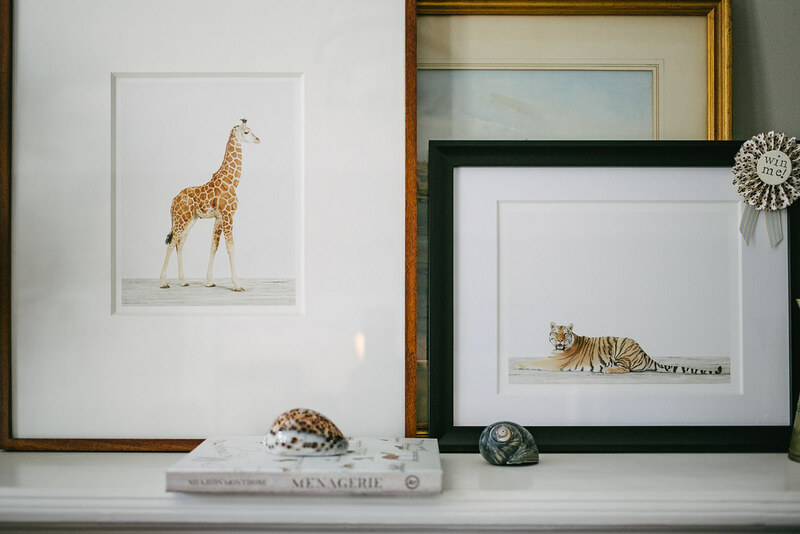 The very signature look of a Sharon Monstrose Animal Print is the most perfectly shaped, perfectly expressive, perfectly groomed animal you've ever seen in your life standing on bleached wood floor panels against a pristine white backdrop. 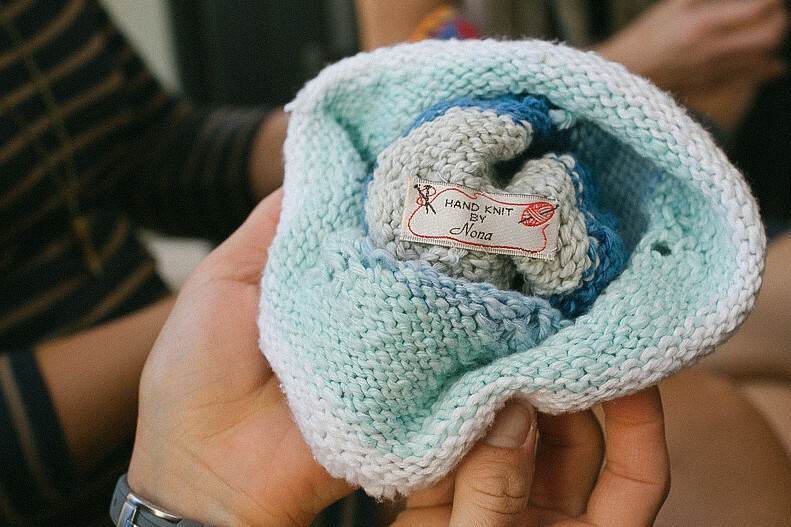 It's like "cute overload" in a sophisticated art form. 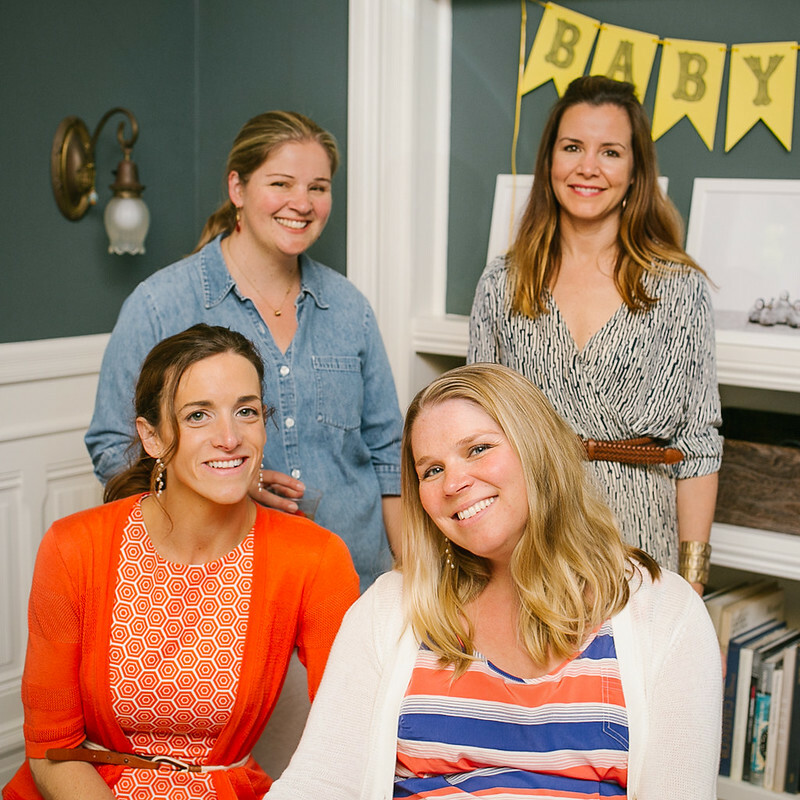 This inspiration launched our baby shower Pinterest Board, previously a "Secret Board" but not anymore. 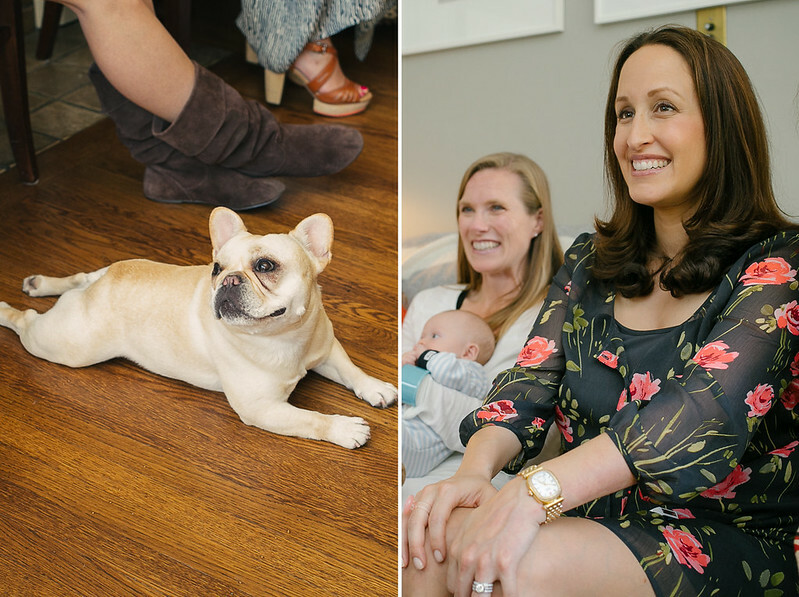 We really liked the idea of realistic animals, without the mess of a petting zoo (hello, refinished floors!) and unfortunately without the budget to buy out the entire Animal Print Shop. After some brainstorming, we made the jump to Schleich Animals Figures -- specifically the baby ones. Vale already had a good amount of these plastic figures in Oscar and Lucy's toy collection and augmented their collection with a little online shopping. 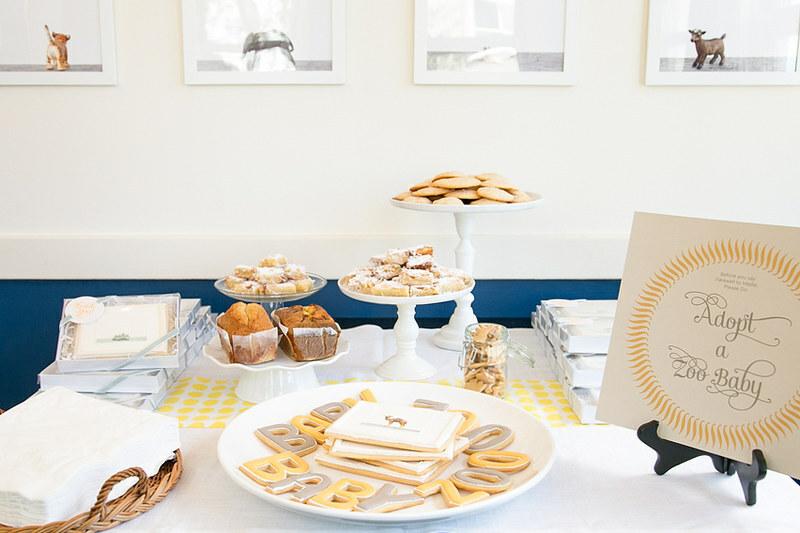 Vale made really cute photo collages for Madie's baby shower inspiration, cherry picking all the best stuff and laying it out in a really clean format with pretty fonts and scrolls. I appreciate that kind of stuff more than the average bear. 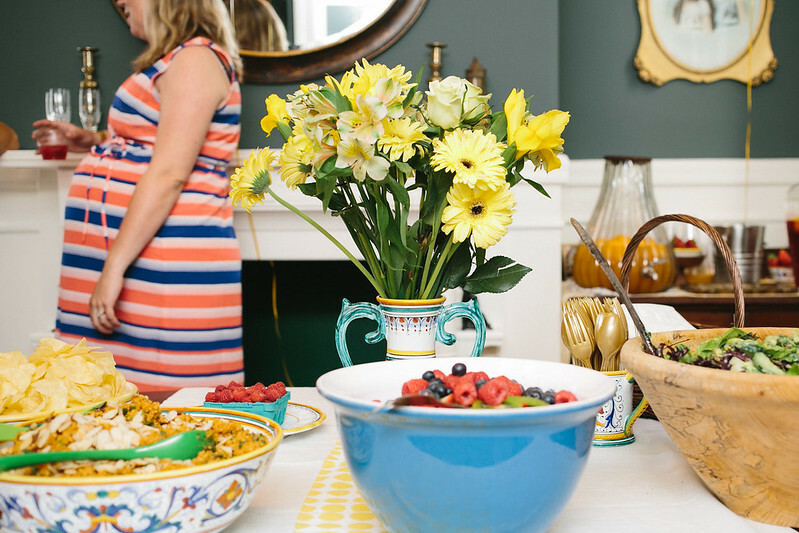 Since the gender of Madie and Alex's baby is going to be a surprise, we went with yellow as our primary color with accents of warm gray, inspired by some pretty Serena & Lily paints & fabrics. 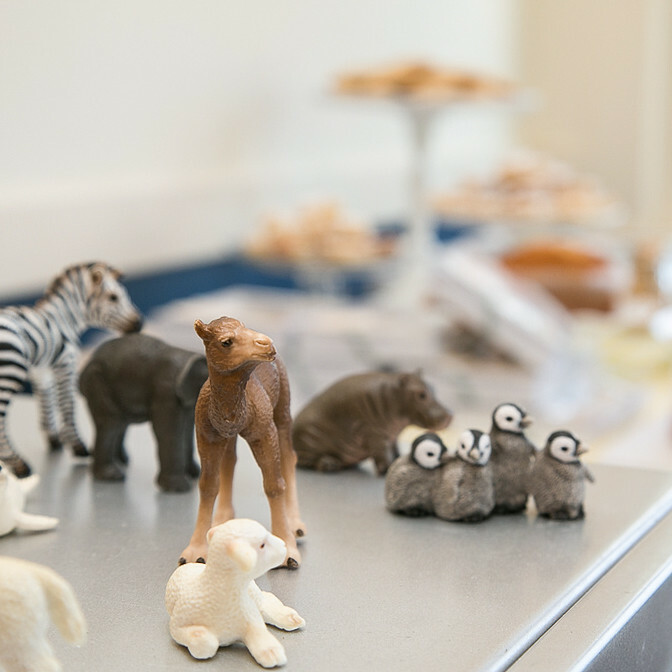 Cole (my husband/Madie's brother) photographed each one of the Schleich Animal Figures on a nice cutting board in the same little photography studio he sets up for my cookies. Vale photoshopped the sh*t out of the photos, changing the tone of the wood and making each animal more "perfect" -- in many cases, altering the face or the eyes to give it a more realistic look. Crazy, right?? Yeah, sure, crazy and worth it. 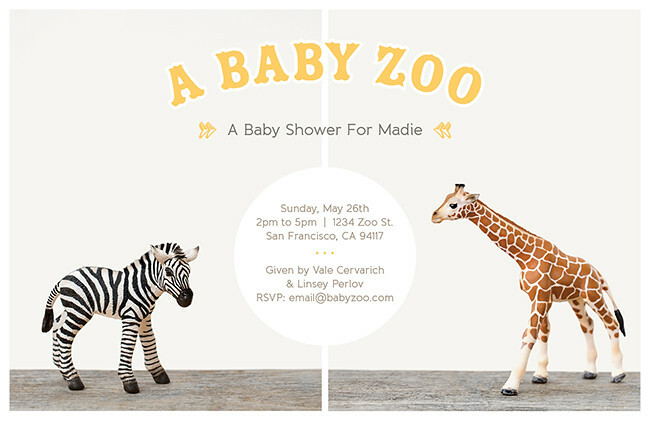 Cole designed the Baby Zoo invitations using the photos he took of two of the "classic" Schleich Animals. For the shower, Cole made a million prints of his photos (well, I think it was technically "only" 18) on nice, big photo paper. 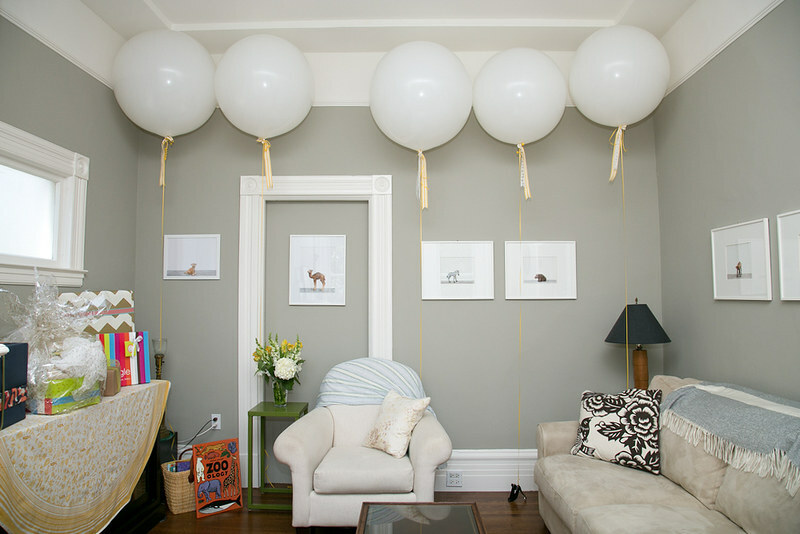 Vale put them in all-white frames and hung them up around her house (like, as in she completely redecorated her walls for Madie's baby shower). Crazy, right?? WORTH it. 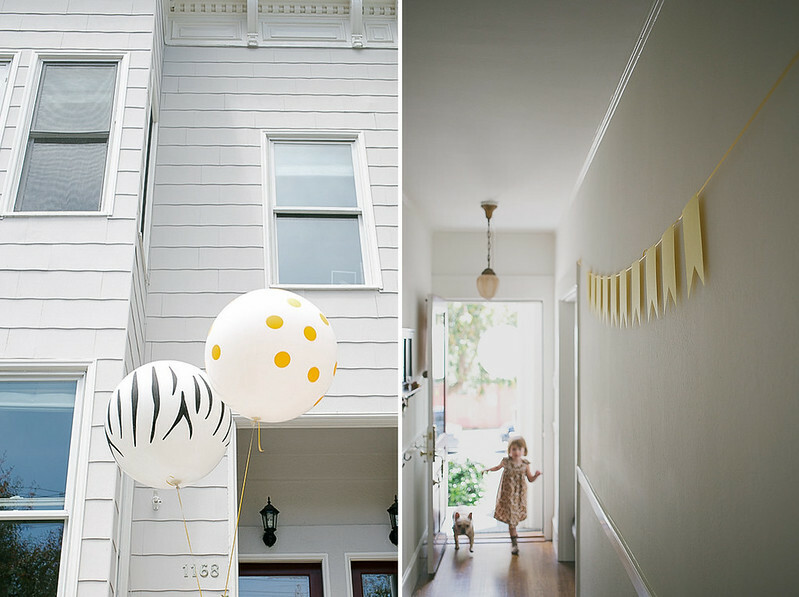 Madie's friend Jess made cute little ribbon frills to string from the gigantic white, polka dot, and zebra striped balloons Vale ordered online and Mark (Vales' husband) blew up with a rented helium tank. (Not his first rodeo.) 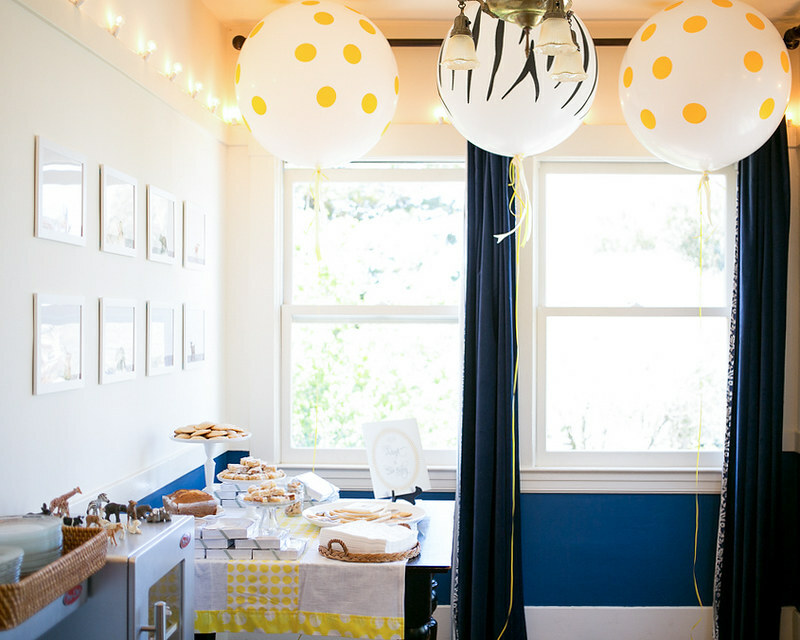 Jess also made table runners with yellow polka dots, like, the day she went into labor or something crazy (and worth it) like that. Super Mom, indeed. 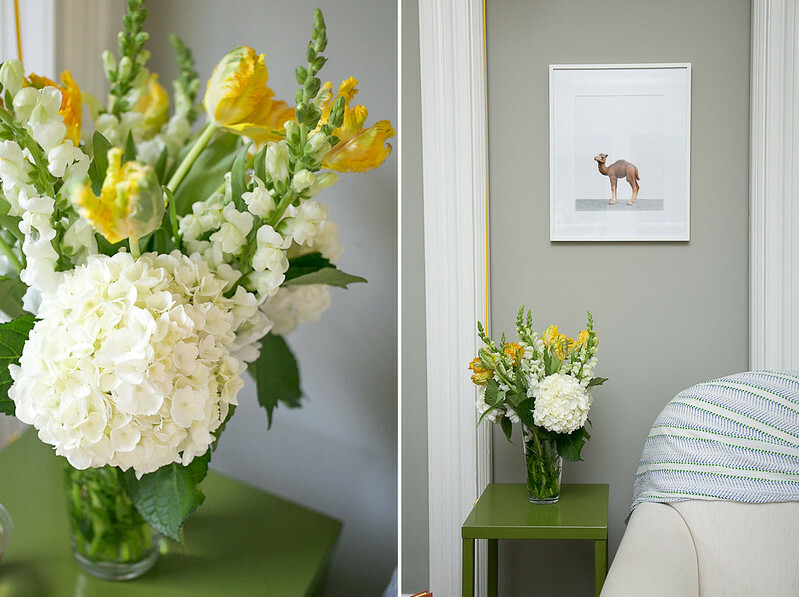 The fresh white, green, and yellow bouquet on the green side table was provided by Jess as well. 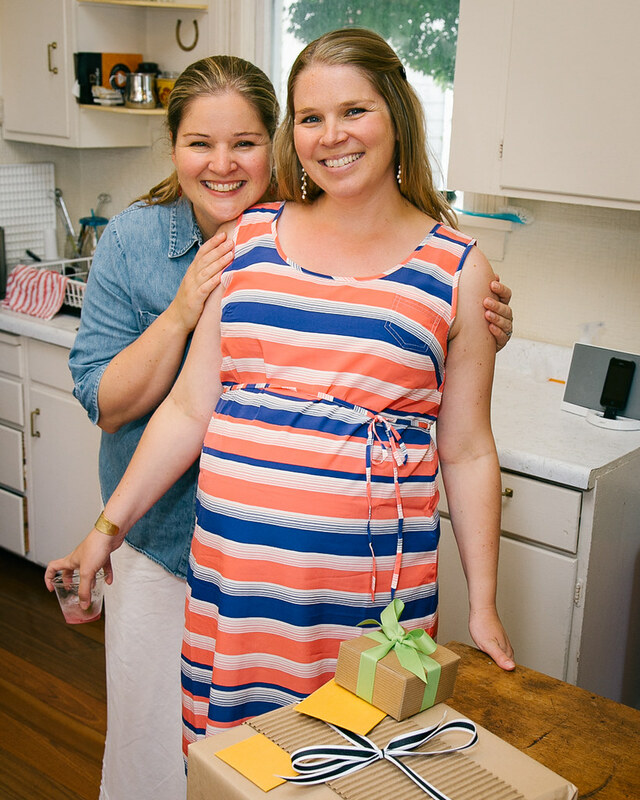 Notably, the bouquet was dropped off the night before the shower -- something only a super mom like Jess would think to do. 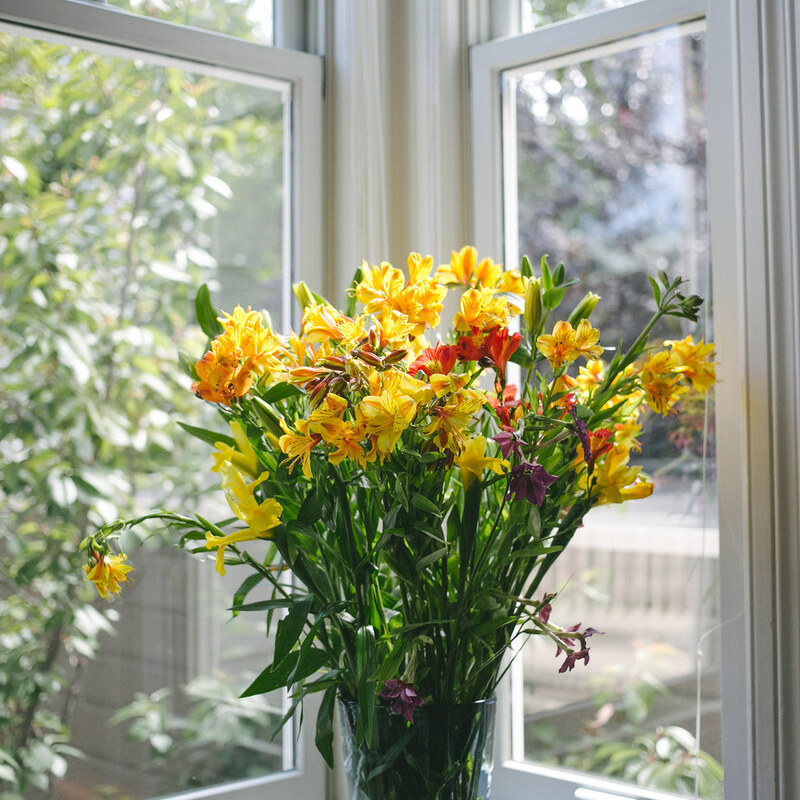 The rest of the bountiful blooms were cut and arranged by Madie's mom/my mother-in-law, Vicki, who I have come to find out has some solid abilities in floral arrangements! Ginger lent Vicki a helping hand the morning of the party -- but I can't say exactly what she did because she just sweeps through the rooms like a Safari Party Fairy, magically "tszuj-ing" things in her perfectly appropriate Maxi dress (just a subtle nod to the theme) and before you know it, all the balloons have ribbons on them and you're drinking a cocktail (yummy punch made by Vale) fifteen minutes before guests arrive. When does THAT happen?! As for the main course -- another Safari Party Fairy named Linsey b-a-rought it. Linsey made the most delicious, healthy "chick food" ever. I never knew she was such a chef! 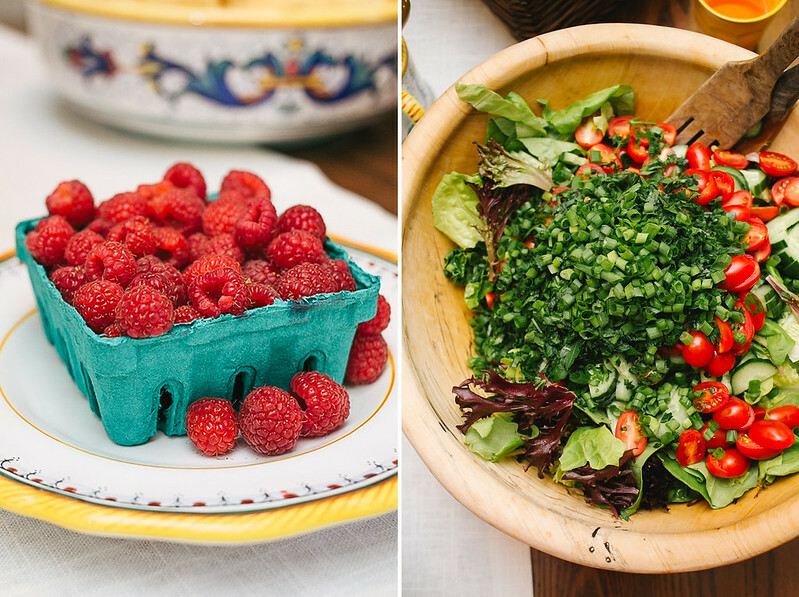 I'm still drooling over that amazing green salad, a delicious curry (?) 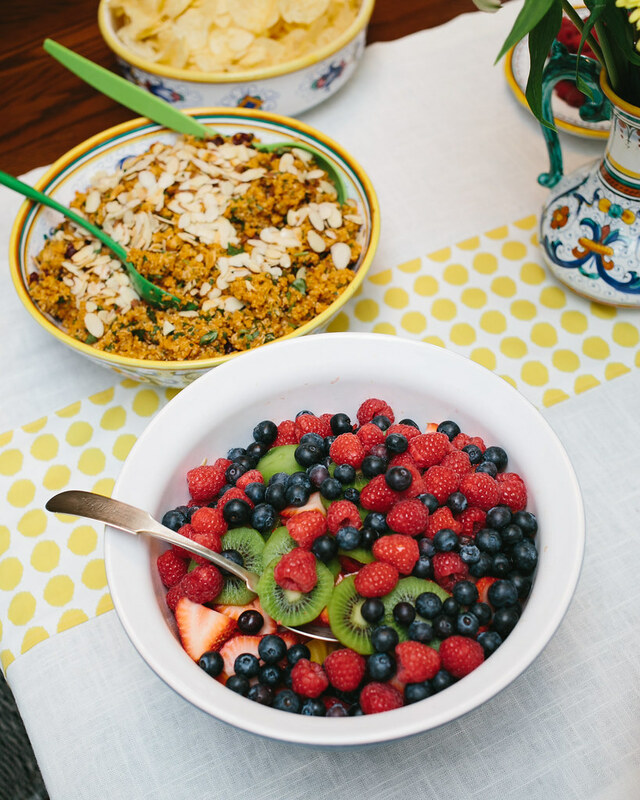 quinoa dish, and a huge, colorful fruit salad (Madie's favorite pregnancy food). 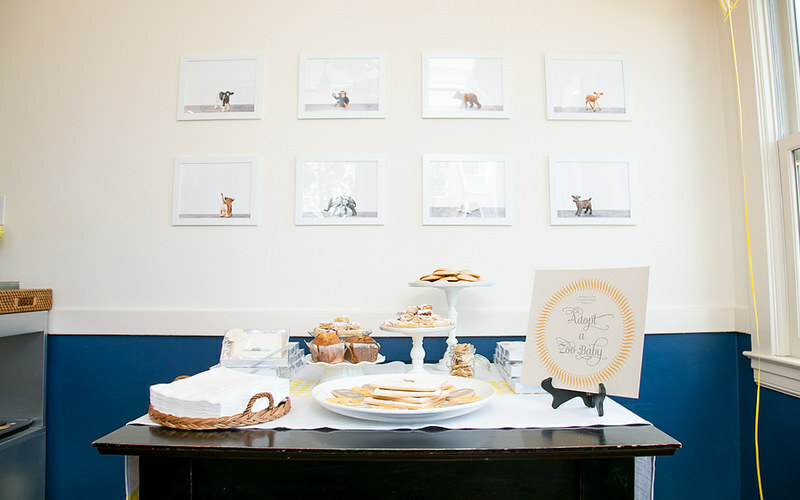 For the cookies, which I did a separate blog post for with my "studio shots", Cole helped me print more of our Schleich "Animal Print Shop"-Inspired Photos, but this time with edible ink on sheets of frosting. 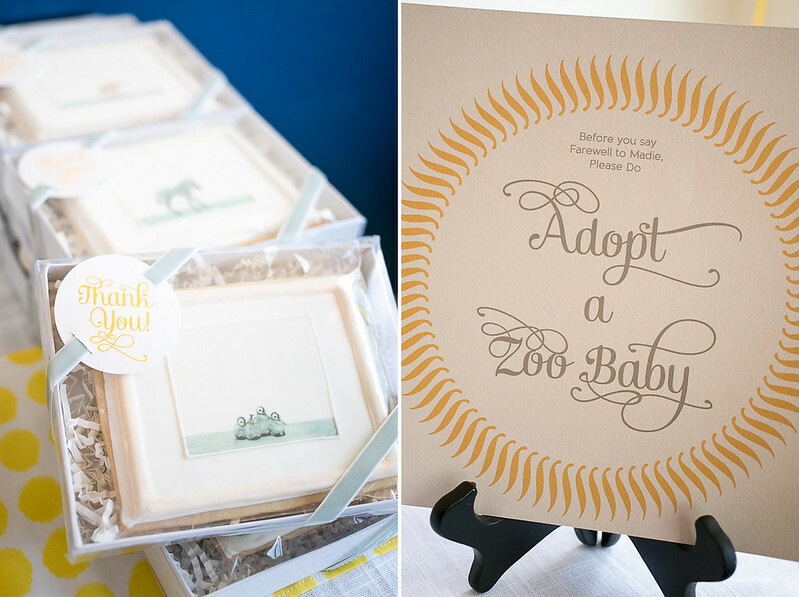 I used these for the cookies, which I decorated like framed nursery art and packaged them in fancy boxes as a take home party favor. 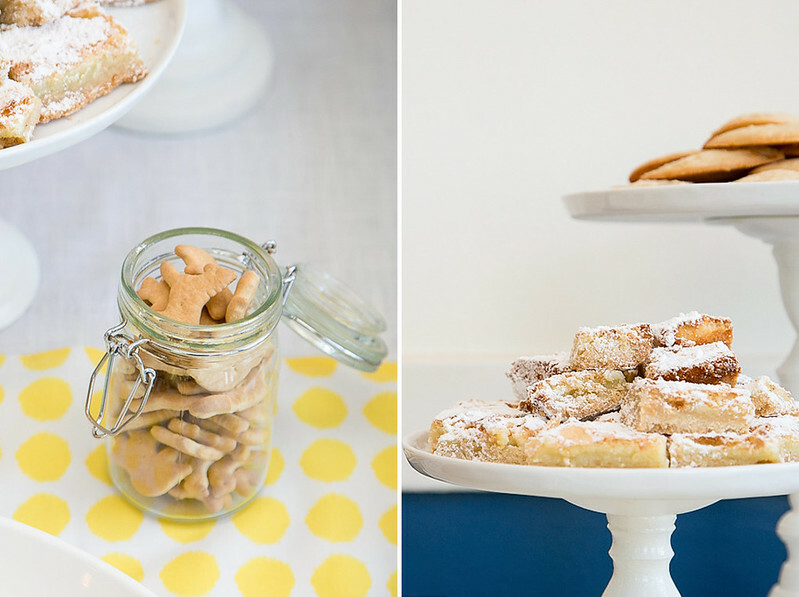 Vicki, made some (addictive) lemon bars and lemon ricotta cookies for the dessert table. 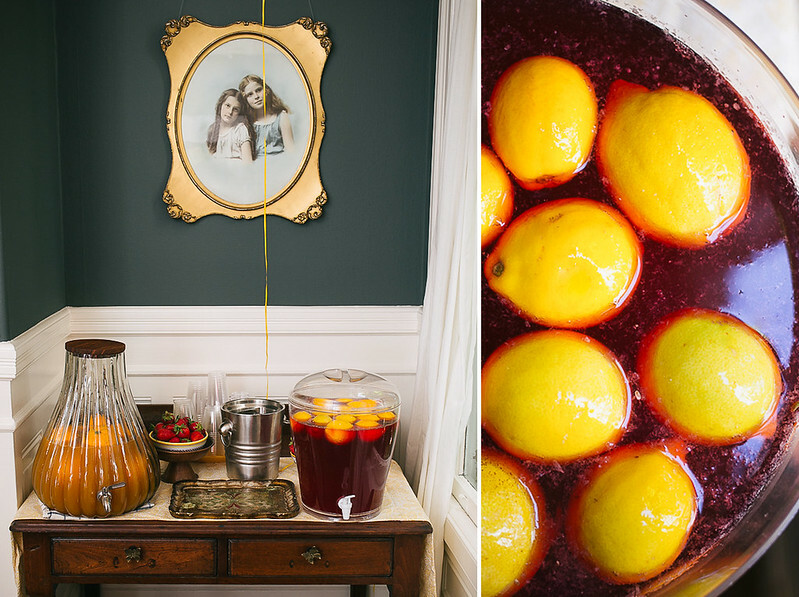 I got to setup and "style" the morning of the party. I did a few more decorated sugar cookies to be eaten at the party. Vale picked up a couple loaves of pound cake from La Boulange Bakery, which were really quite yummy! 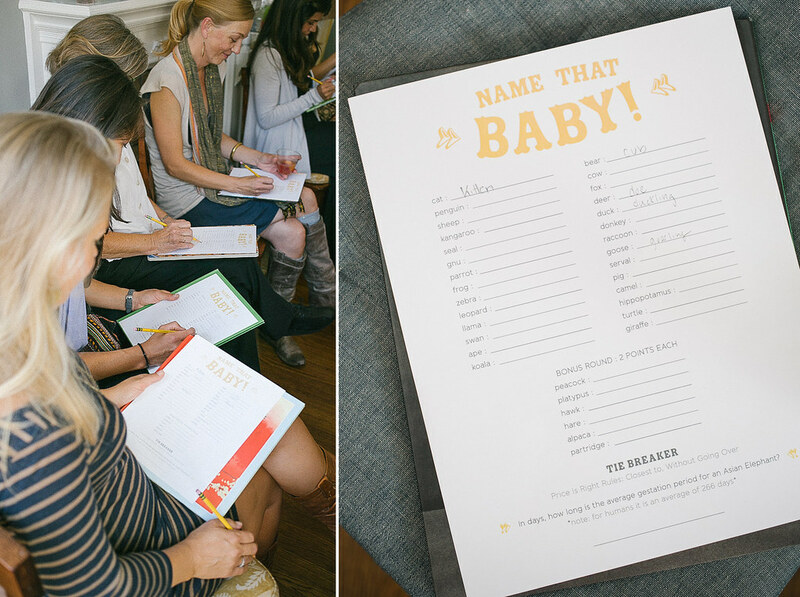 Vale thought of a really clever and fun game for guessing the baby names of animals. Cole designed the game handout. Vale had us use children's books as a "clipboard" -- which was a really cute idea and very resourceful! 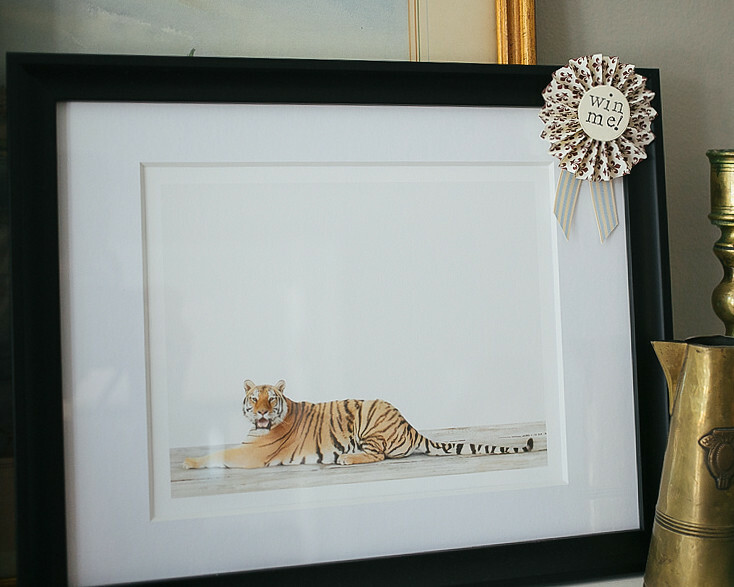 The prize was a framed Sharon Montrose print -- the tiger! 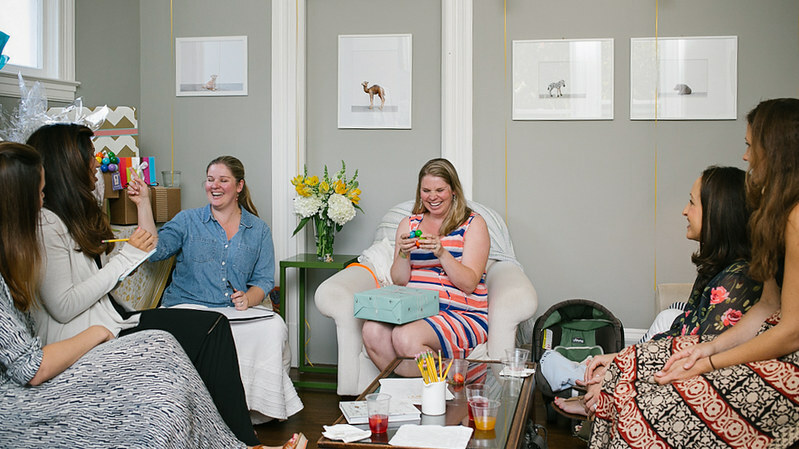 Like any good baby shower game, it was short & sweet and didn't require eating mystery melted chocolate candy bars out of a diaper. 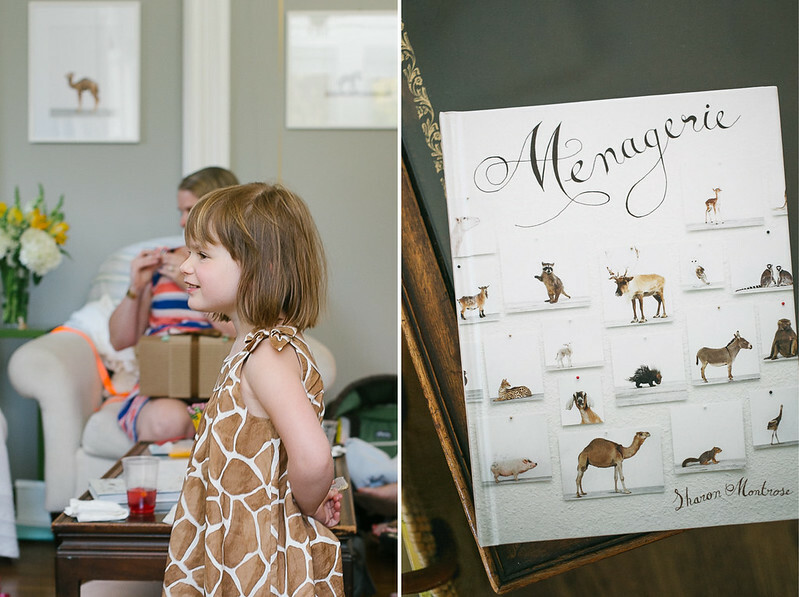 Vale also put out a couple copies of Sharon Montrose's Menagerie book on the coffee table just in case people didn't understand the whole Animal Print Shop inspiration. 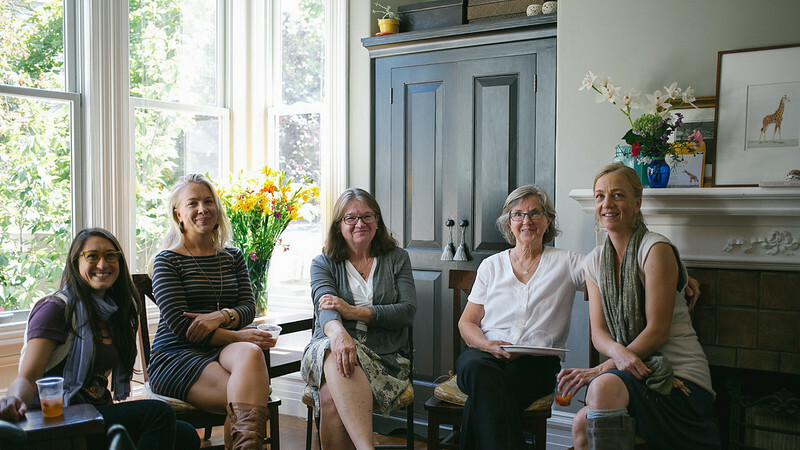 Cole photographed the majority of the party -- except for when the ladies showed up. Then he split to our apartment which became a "man shelter" (or as Cole just rolled off the toungue, "an estrogen refugee camp") and I casually snapped a few photos.